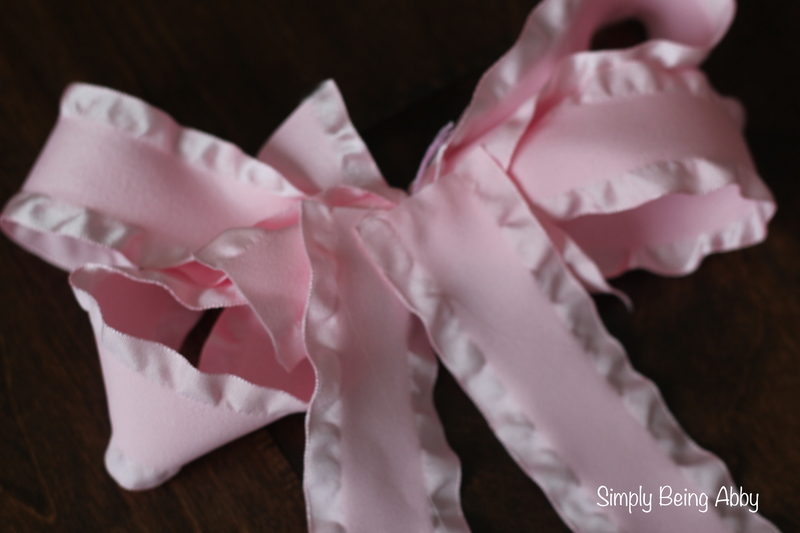 To finish up my posts on my DIY Spring Yarn Wreath, I wanted to show you quickly how I made a simple bow and hung my wreath with ribbon. 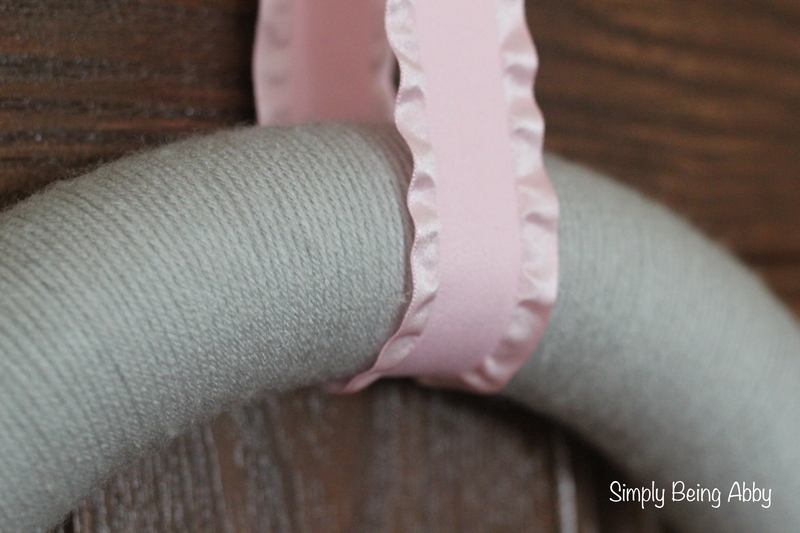 I wanted to add an extra touch to the wreath, and this was an inexpensive and simple way to do it! 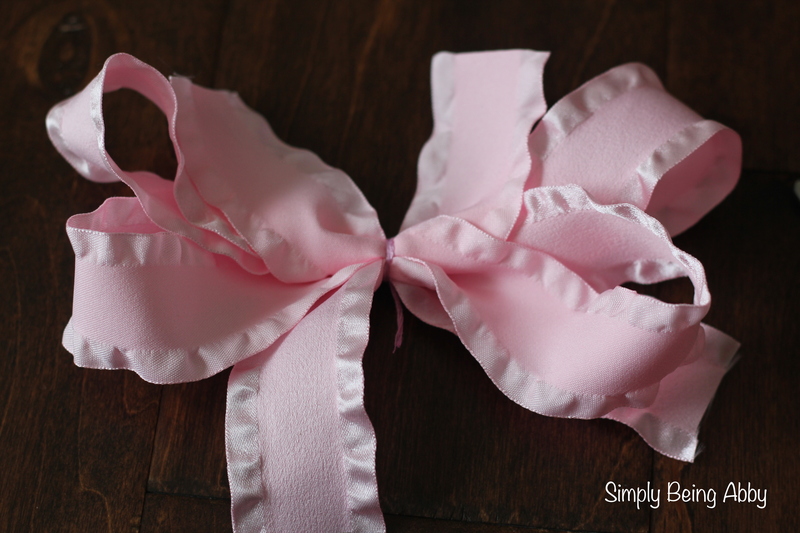 1) Make a loop of ribbon around the wreath. 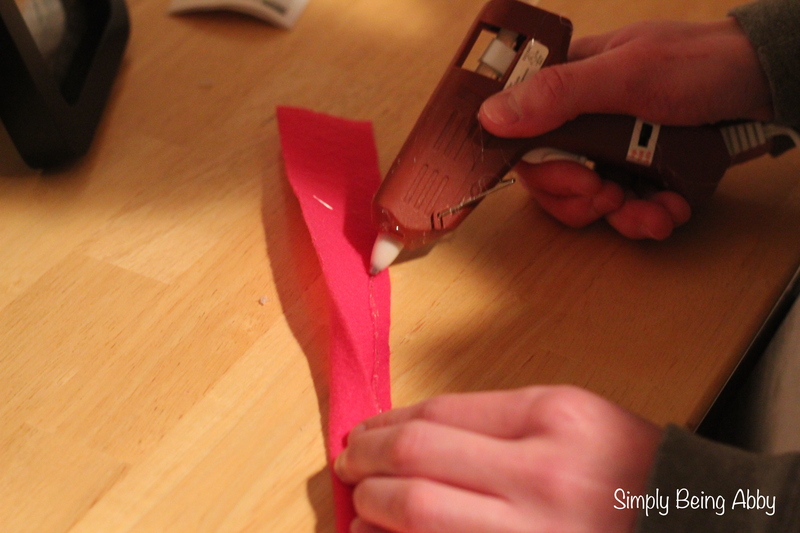 Hot glue the ends together to hold the ribbon together in place. 2) Make another loop going the opposite direction, around the first loop that you made. Seal the ends together with glue again. 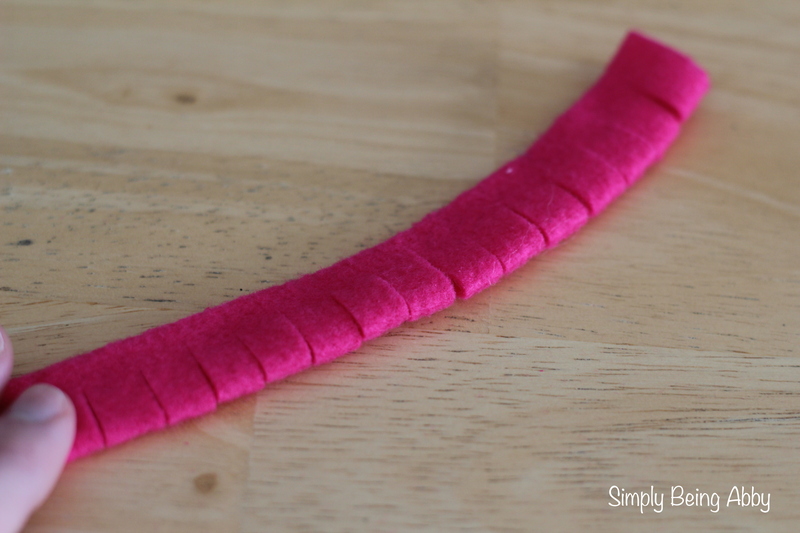 4) Make two loops with one of the ribbon strips you just cut. 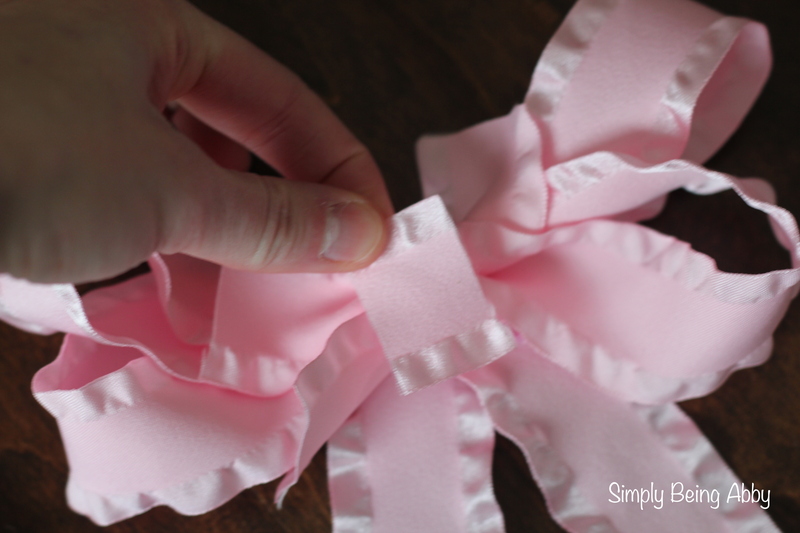 6) Place the bows on top of each other. 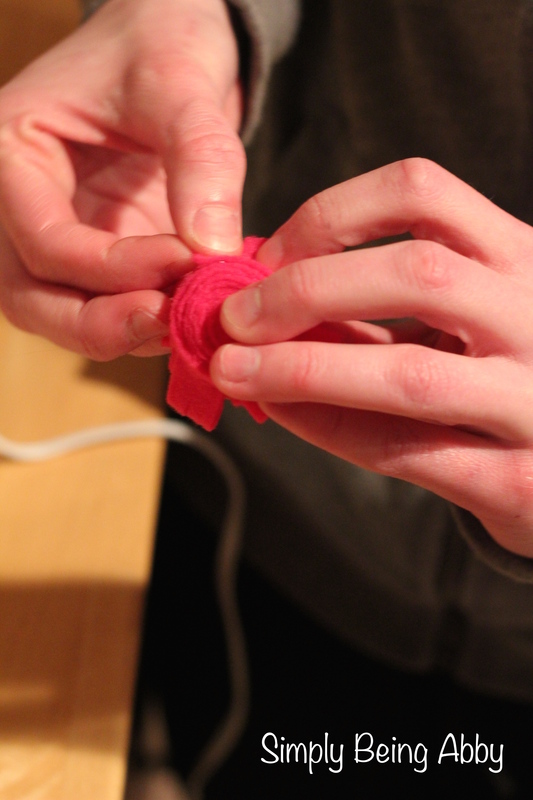 7) Squeeze the middle together tightly and wrap together with thread/floss. 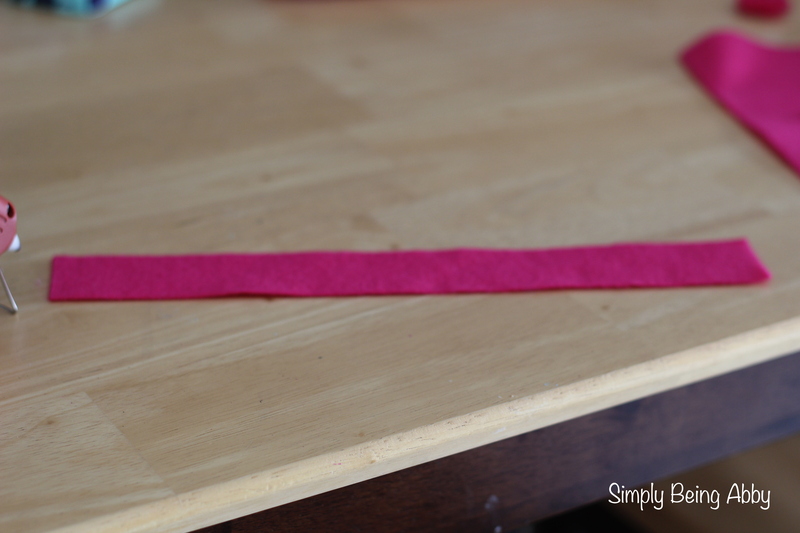 8) Cut two more strips of ribbon about 6 inches long. 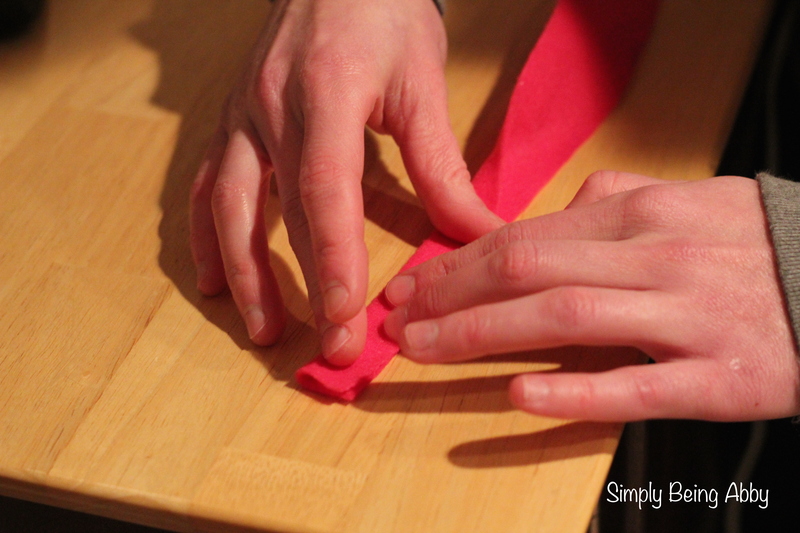 9) Glue the two strips to the back of the ribbon. This doesn’t have to look pretty since no one will see it! 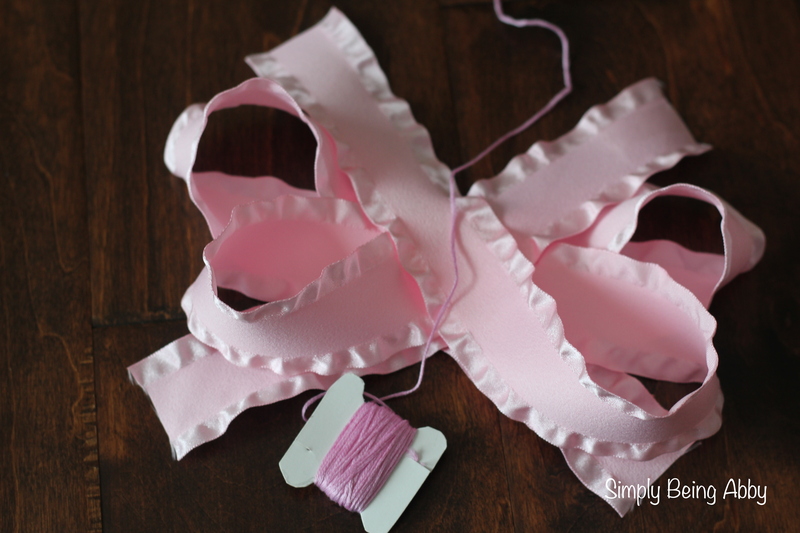 10) Cut one more small piece of ribbon to cover up the center portion where the thread/floss is holding the bows together. Glue this over the middle. That’s it! Easy! 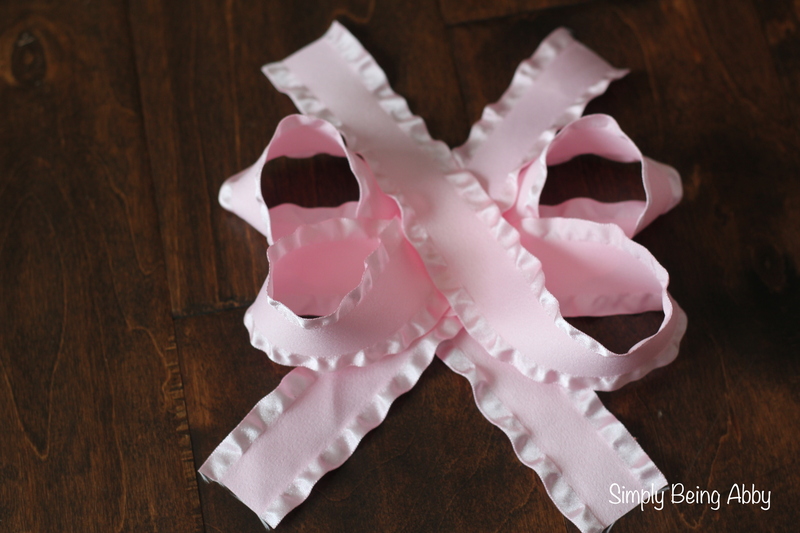 You can cut little triangles out of the bottom of the ribbon tails if you want (I did on mine). 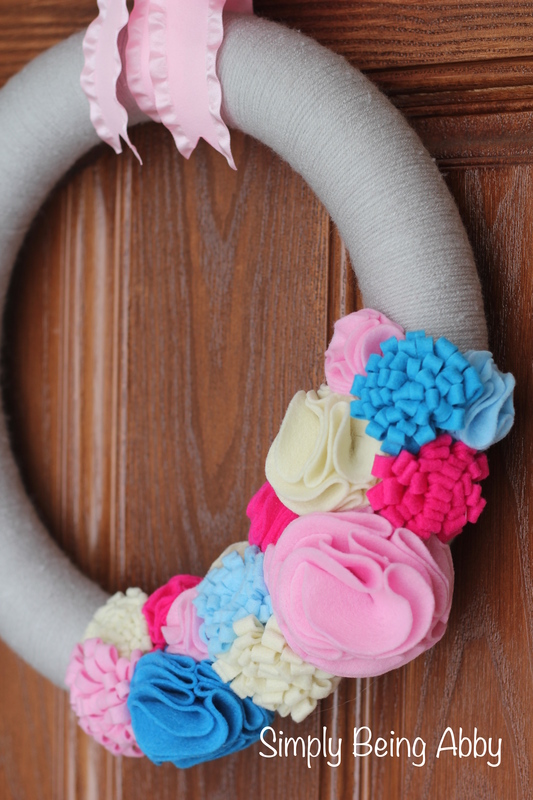 Hang your wreath and you are all set…maybe if we all put up some of our spring decor the weather might cooperate?! Here’s hoping! The weather this week has been AMAZing! It is really starting to feel like spring. Don’t worry — I am not in denial of the fact that the snow could still yet fly this month, but I am going to pretend like it won’t. At least when it comes to getting the house ready for spring! I just put the finishing touches on our living room fireplace mantel for the spring season, and wanted to share my ideas with you! 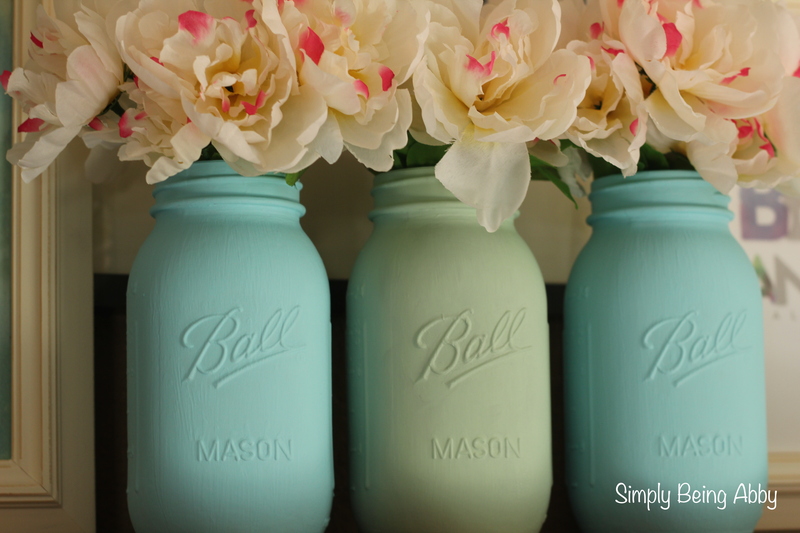 I changed up my pink painted mason jars that were on display for Valentine’s Day and painted some new ones for spring. 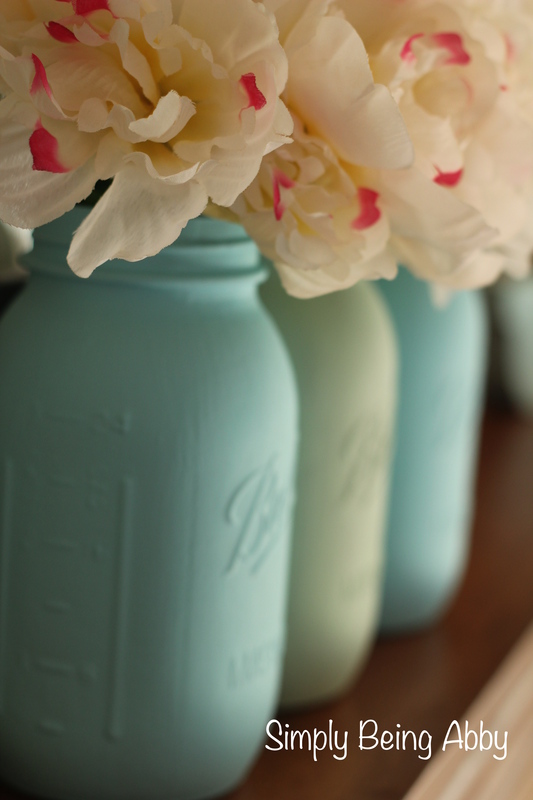 These mason jars are a simple DIY — check out my tutorial here! The lantern, the grass and the letter “J” were all TJMaxx finds. They have some really cute stuff out for spring! 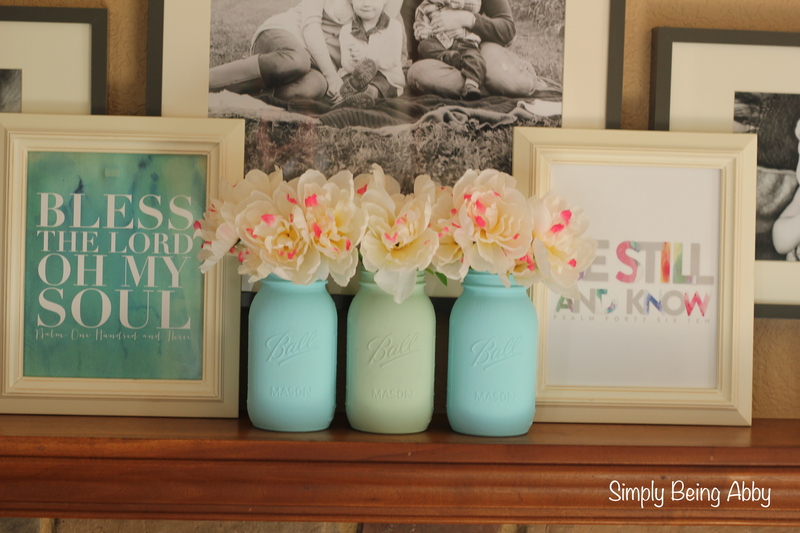 The prints are from Naptime Diaries, and the frames, are from Hobby Lobby. 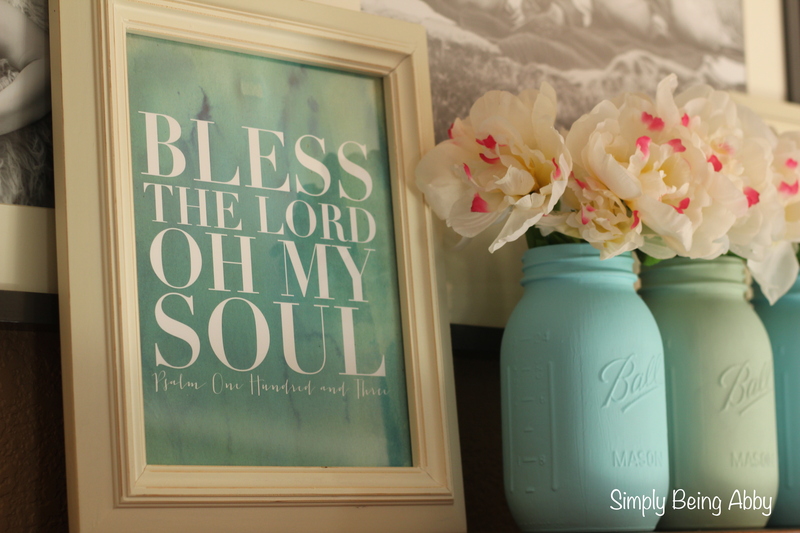 I love the song “10,000 Reasons” and almost every time I see the “Bless the Lord” print, I want to start singing it! 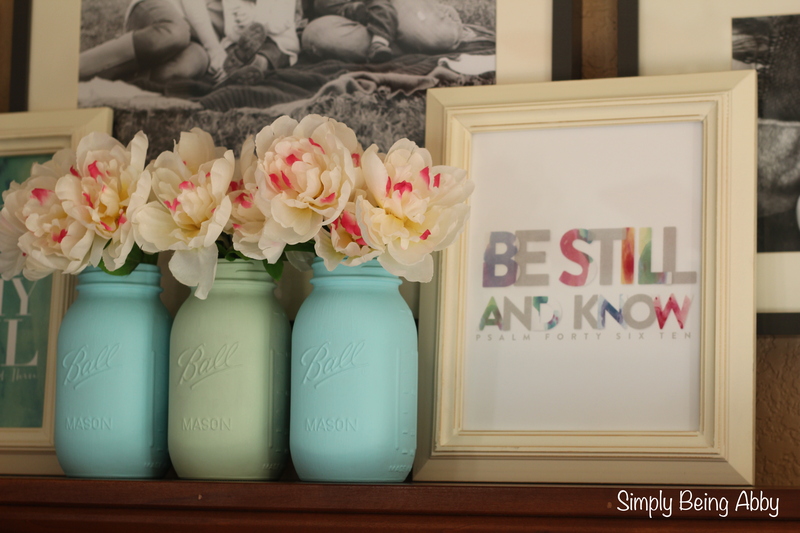 The “Be Still” print has a special place in my heart because my dedication verse is Psalm 46:10 “Be still, and know that I am God.” I love that simple, yet strong, reminder. 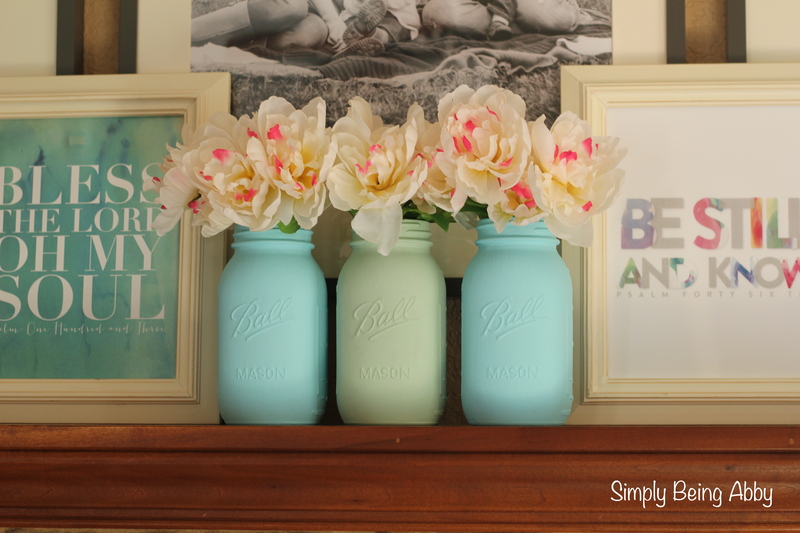 The mason jars were a DIY and the flowers are from the Dollar Tree. I am loving the blue and green hues together for spring — add some mint and blue pillows to your couch, and you are all set! I keep seeing all of these amazing mantels on Pinterest and I have fun coming up with ways to do similar things, make it work with the colors I want, and ultimately spend less time and money. 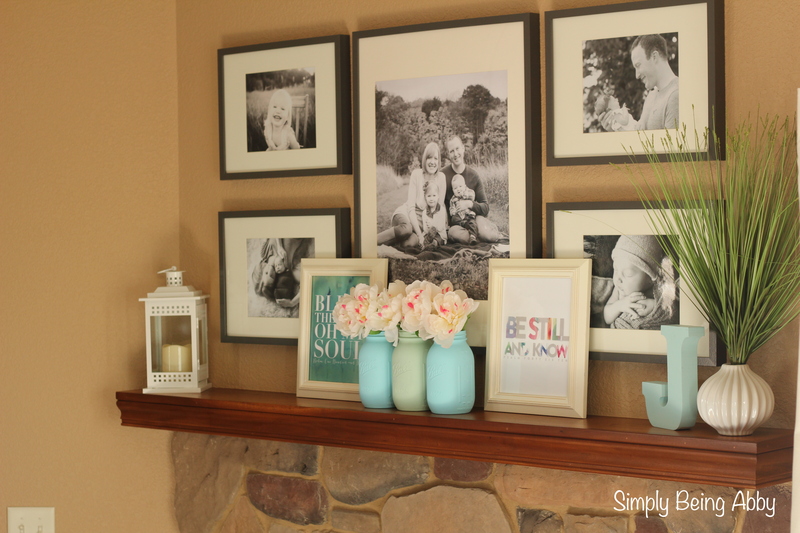 Our spring mantel is simple, easy and inexpensive, which is exactly how I like to roll. 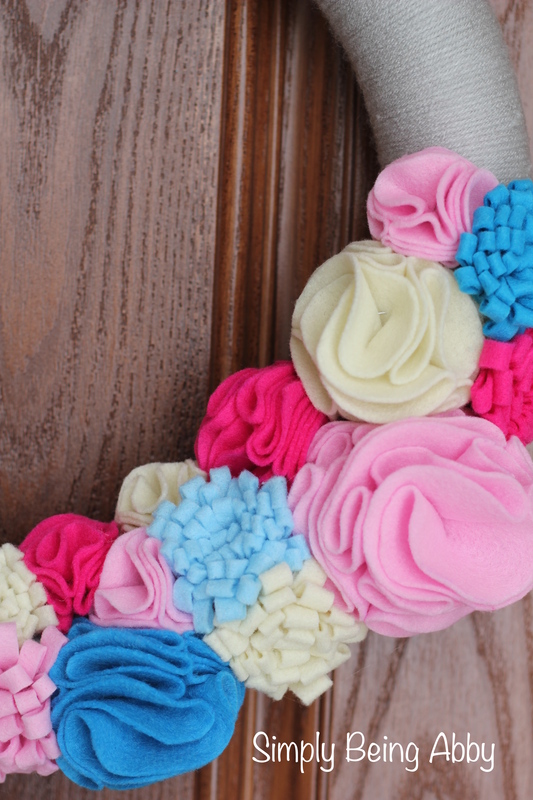 I hope that you all saw my fun, DIY spring yarn wreath I posted about this week, and if you did, then this is the followup post on how to make the little felt flowers that I attached to the wreath! I made two different types of flowers after scouring the internet for ideas and tutorials! I combined a few different ideas I saw and came up with these two. 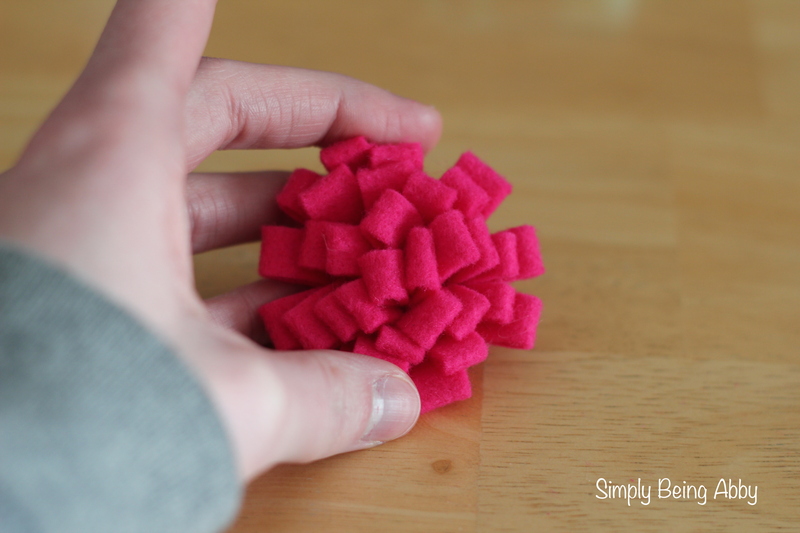 All you need for both of these flowers is felt, scissors and some hot glue. This flower was a little more time-consuming than the other one. As I was putting these together, I had a flashback to when I was making this lantern for Maddy’s first birthday party — the technique is pretty much the same! 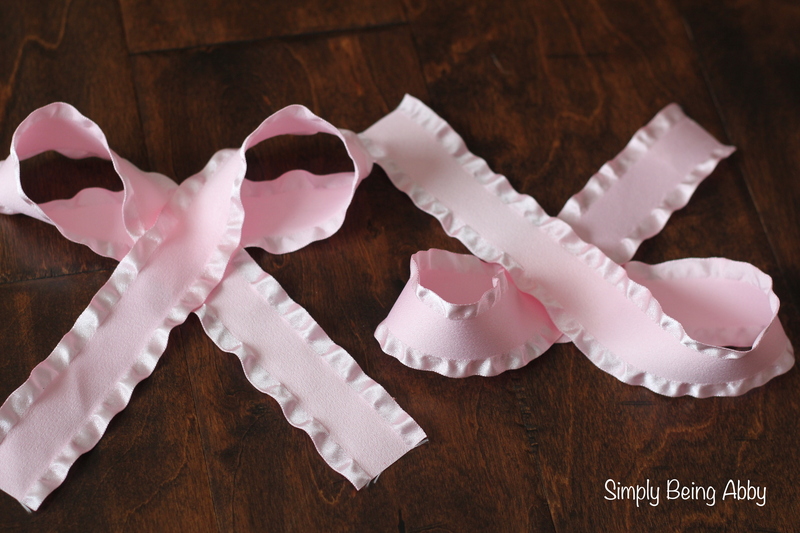 Thankfully, I only had a few of these petals to make, instead of hundreds. 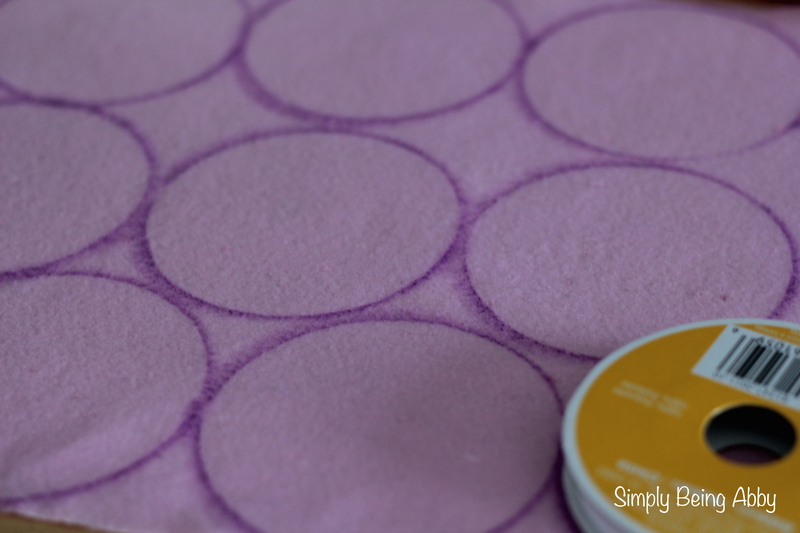 Take your piece of felt and trace six OR ten circles. Use ten circles for a pretty big flower, and for smaller ones, I found that six circles worked better and wasn’t as crowded feeling. You can get creative here with what circle size you want to use to trace. 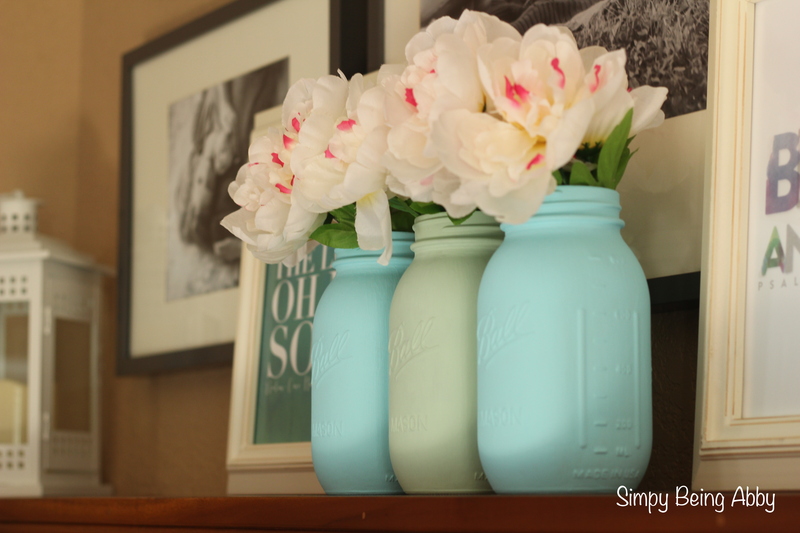 I used a ribbon spool for the large light pink flower on mine, but for all the others I used whatever I could find — a little paint jar, a play food can, etc. Cut out your circles. 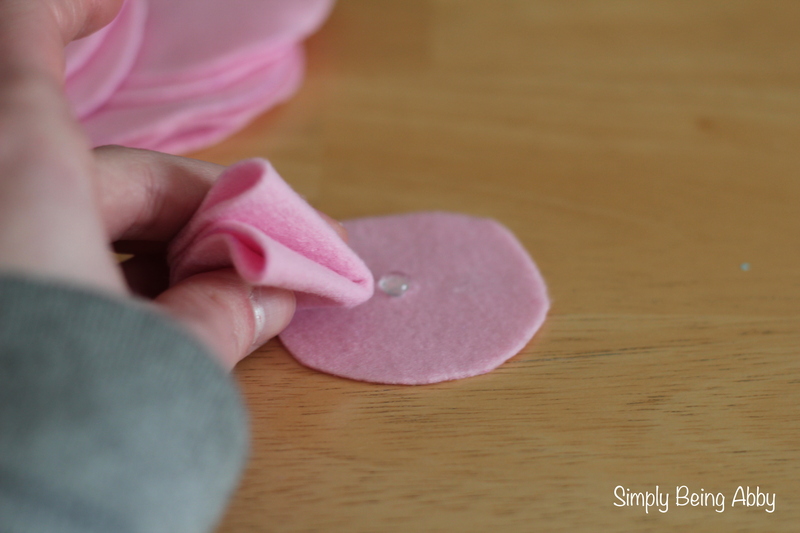 Make sure you cut inside of any lines that were used to draw so that the marker or pen doesn’t show up on the felt flower. 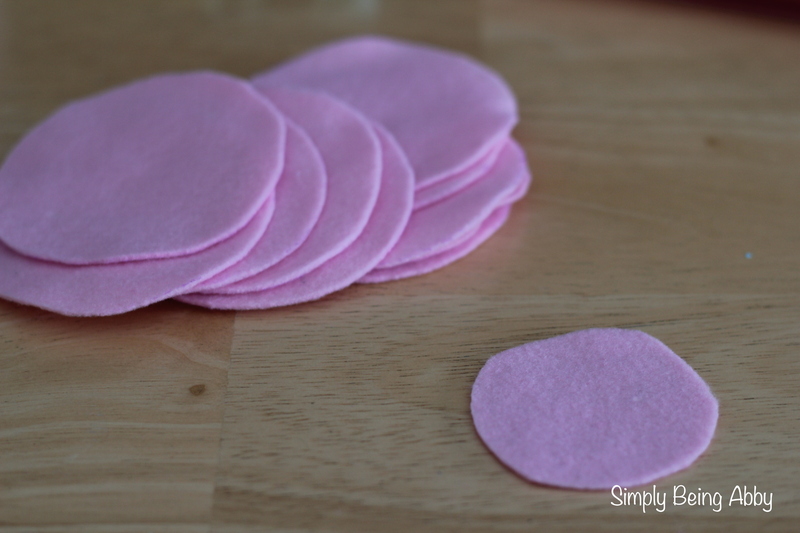 Cut out a smaller circle to use as a center to glue the petals on. 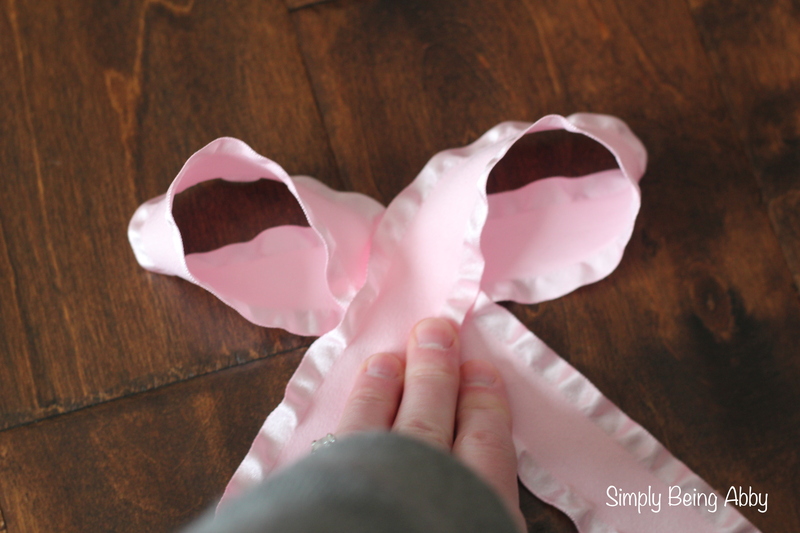 There is no size requirement for this, just big enough to hold the first four petals with some hot glue. Fold your circle in half. 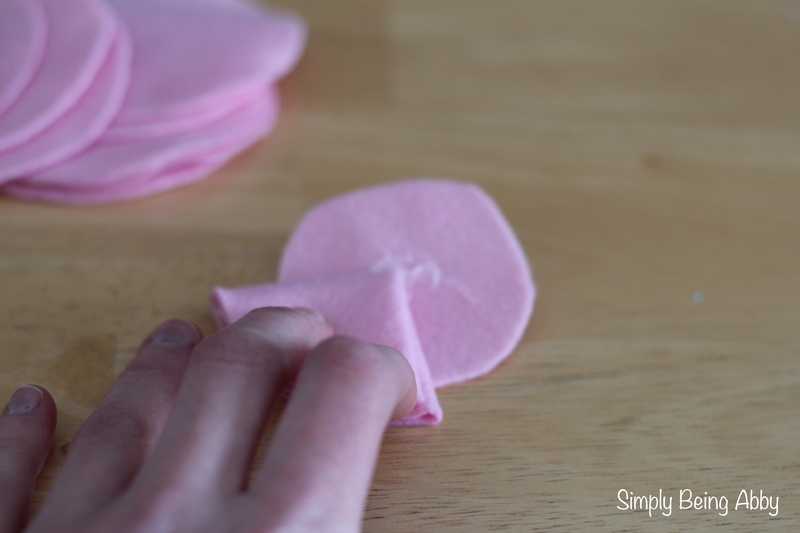 Fold your circle in half again. 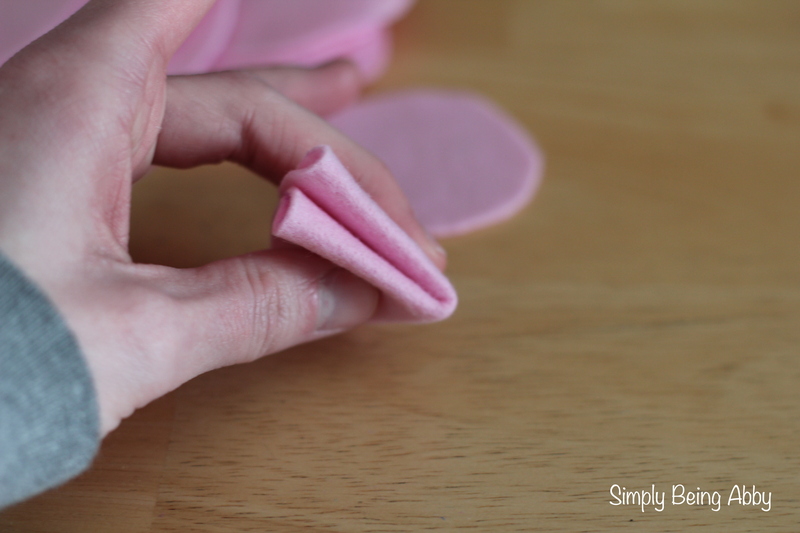 Place some hot glue onto the center circle you cut out and glue down the point of the folded circle. 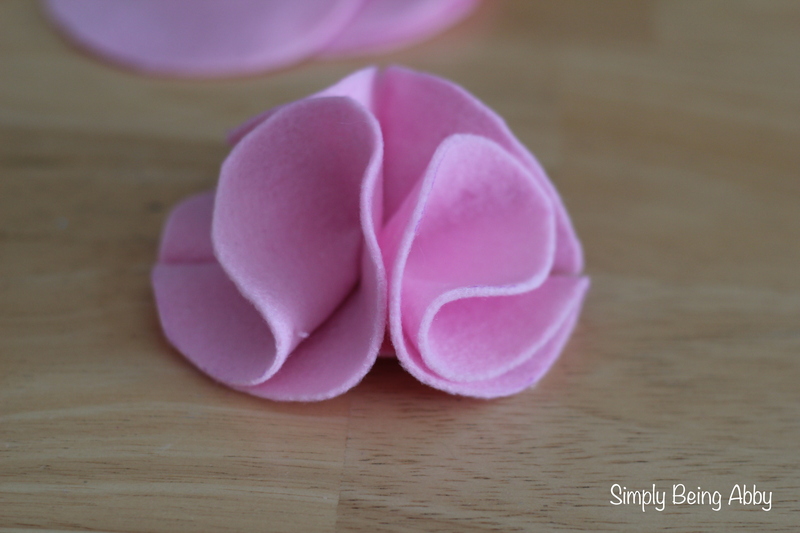 Do the same thing with three other circles, to complete the bottom layer of the petals. Repeat the same steps with four other circles, and place them right on top of the first four that you already have glued down on the bottom. That’s it! 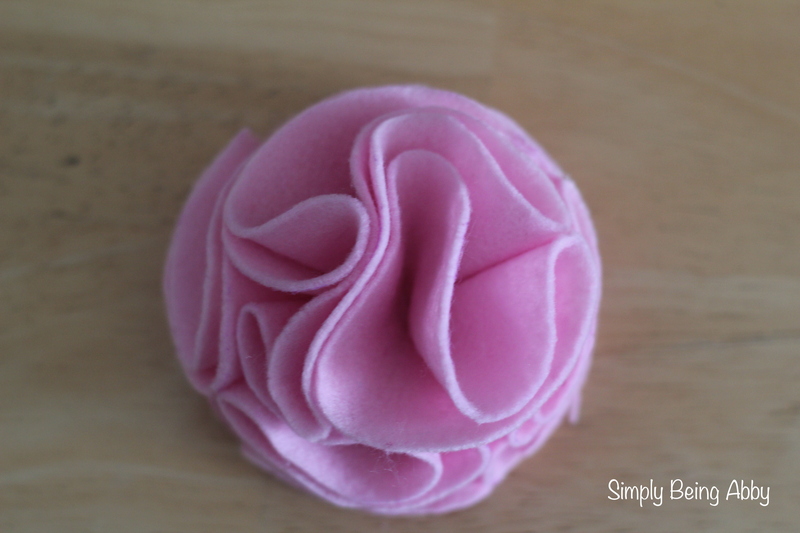 A super cute, super easy felt flower to add to your wreath. 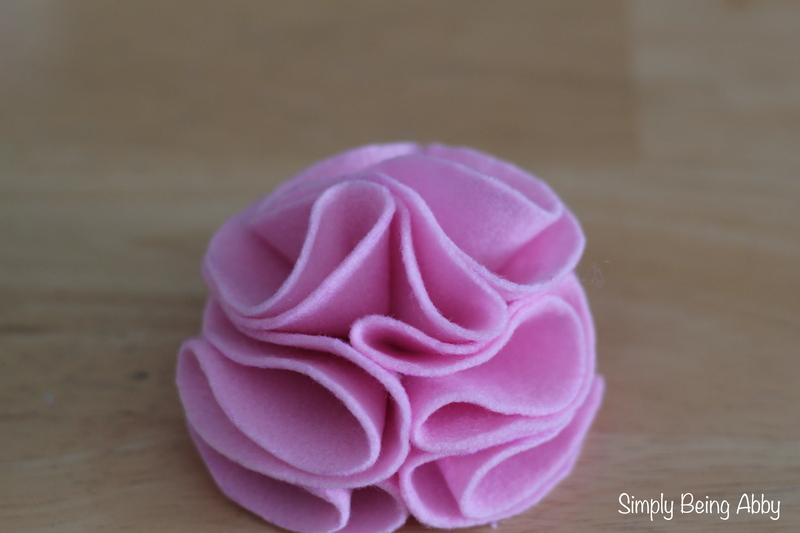 This flower is sooooo easy to make. If I didn’t like the look of the rose one so much, I would have done these for the whole wreath because they are literally the easiest! 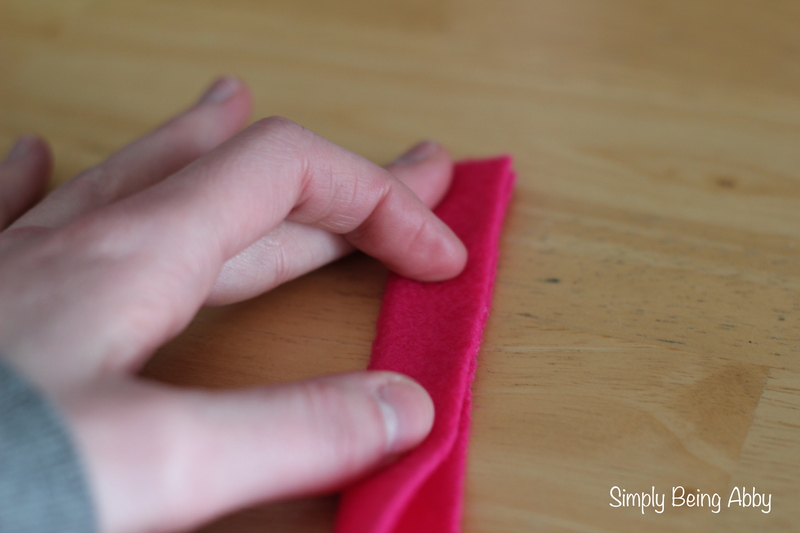 Cut a strip of felt. You can play around with the dimensions. 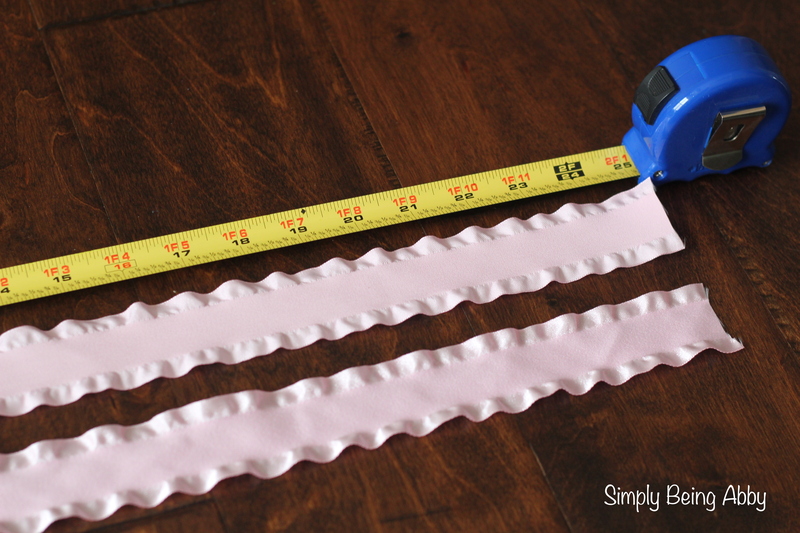 The ones I made were about 12 inches long and I varied the width/height of them, depending on the size I wanted. They were between 1.5 inches and 3 inches in width/height. 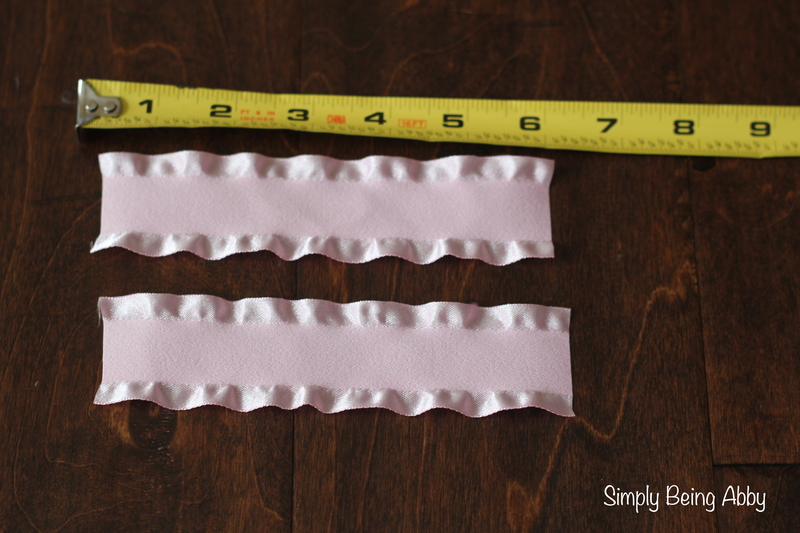 Fold the strip in half, lengthwise. Hot glue the seam closed. 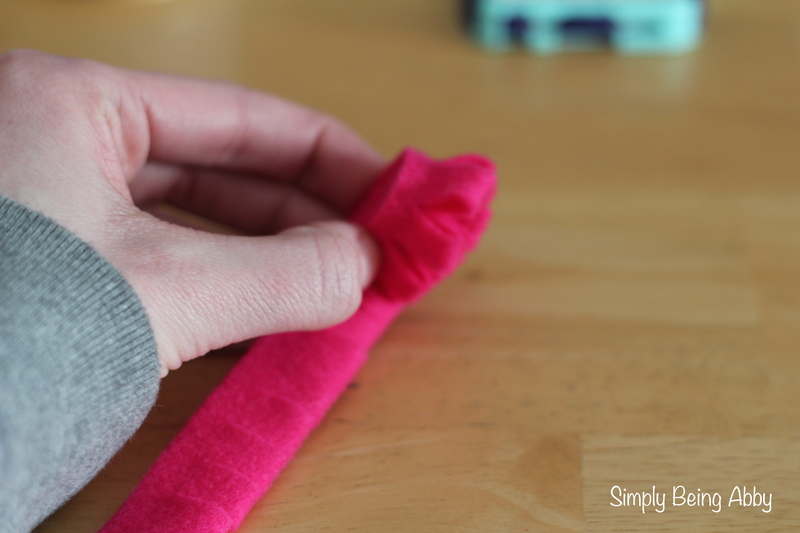 “Roll up” the flower and place hot glue at the end to hold it together. 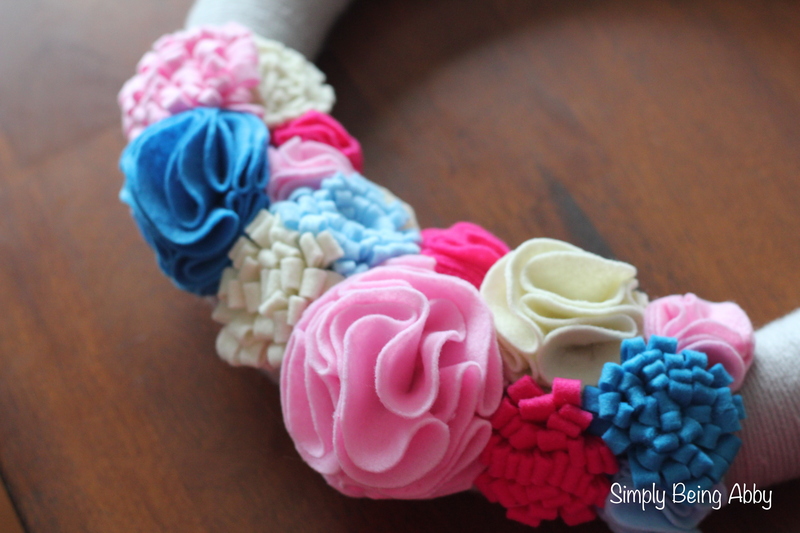 These flowers would both be fun on lots of other crafts, too! 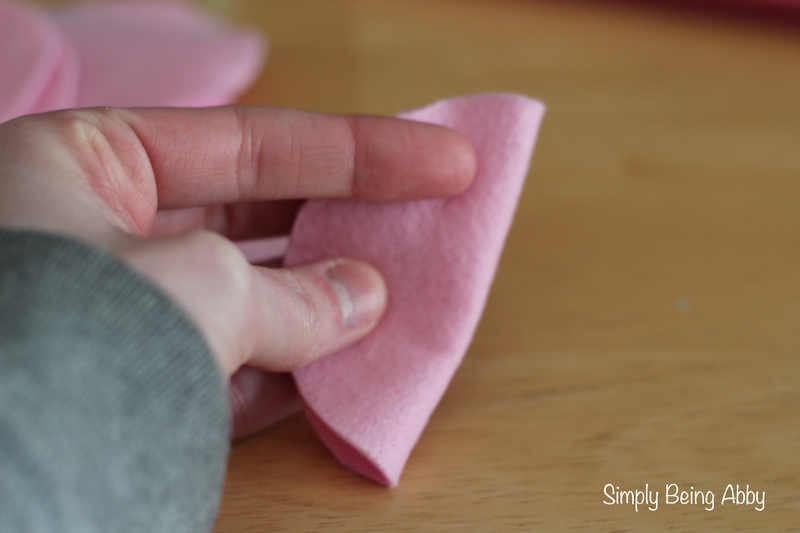 Felt is so inexpensive so that’s also a bonus. 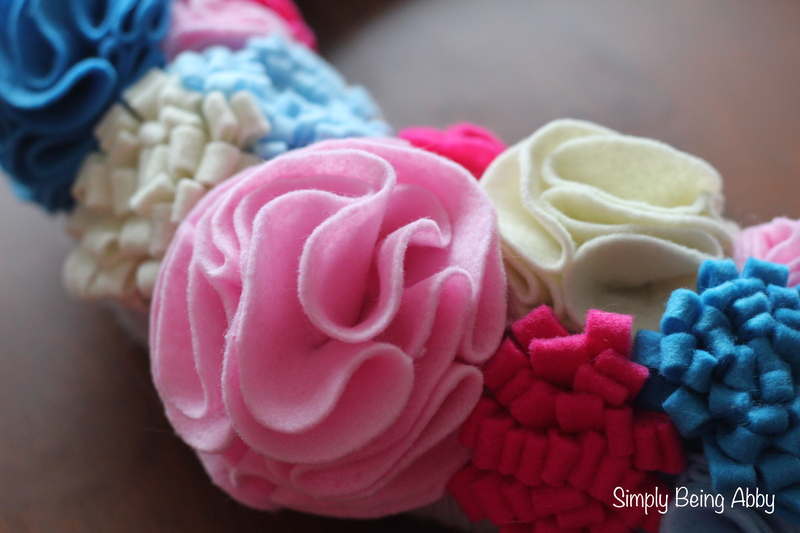 Hope you have as much fun building your spring wreath with these felt flowers as I did! It is actually fairly comical to me that the day I finish my spring wreath, I am outside in my boots, in the recent snow taking pictures of the finished product on the front door. Oh yes, Wisconsin at its best! 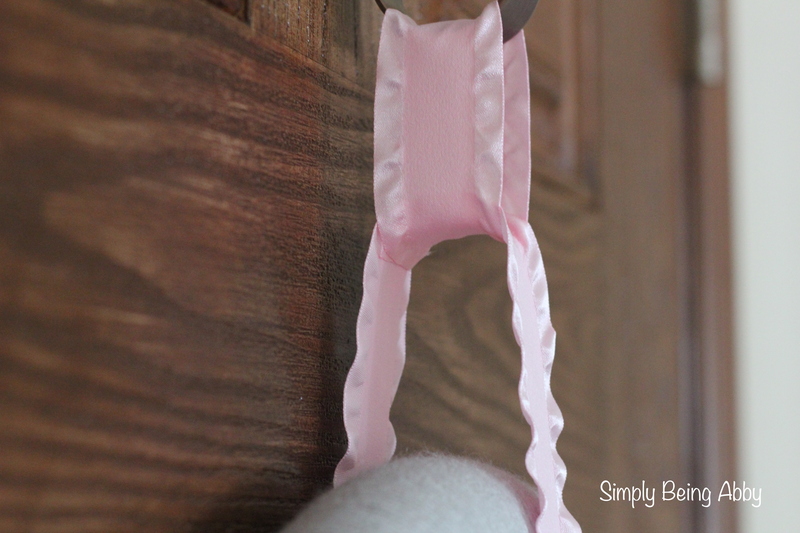 But, I am loving the added touch of spring to the front door and wanted to share the details of how I made it with you! 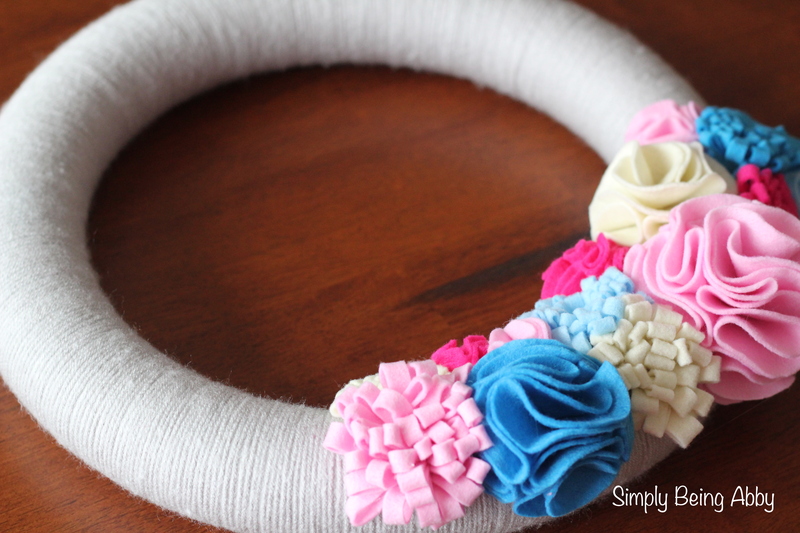 A Foam Wreath: I used a 12″ wreath purchased from Hobby Lobby for $4.99 and used a 40% off coupon to get it for less. Yarn: I used just a cheap grey yarn. You can use whatever style and color you would like! 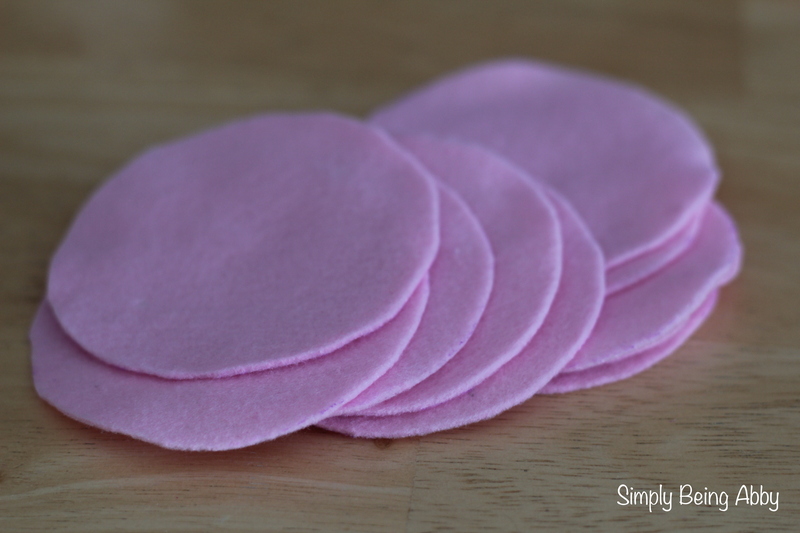 Felt: This will be used to make the flowers on the wreath. You can use whichever colors you desire! 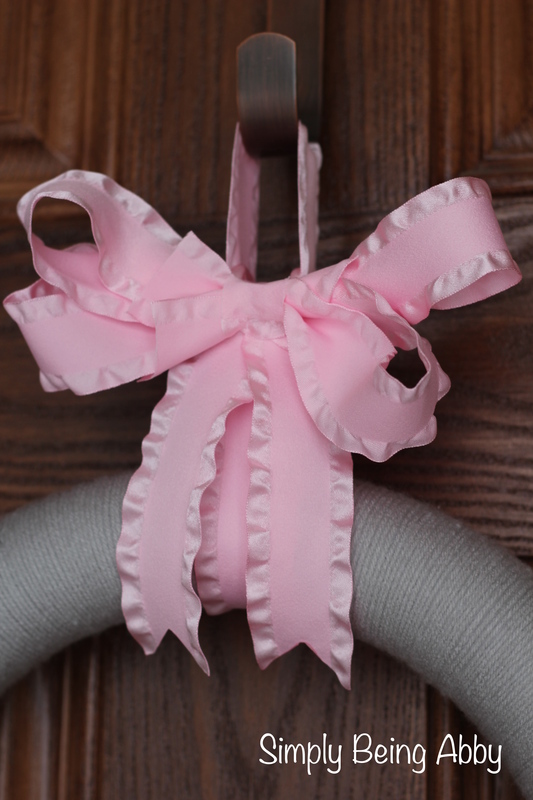 Ribbon: Used to hang the wreath. I used some that I found at Hobby Lobby to match the flowers I made. 1) Wrap your wreath with the yarn. 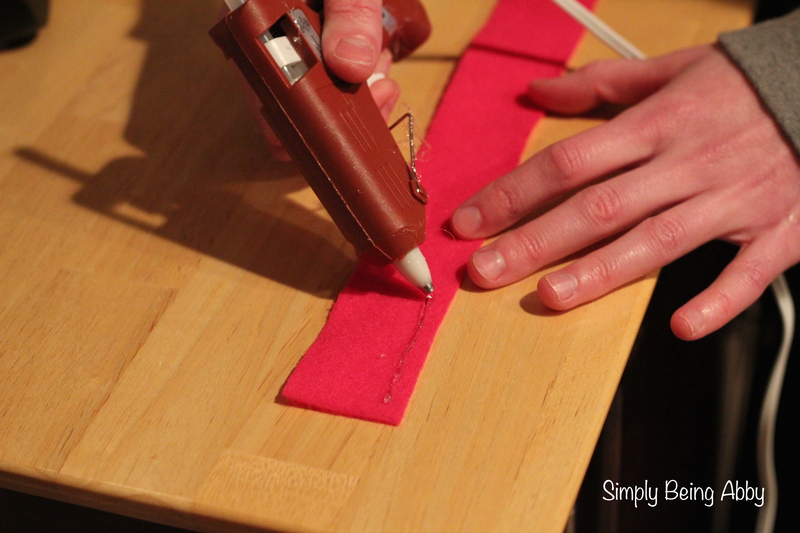 Begin by hot gluing down a piece to start it off. 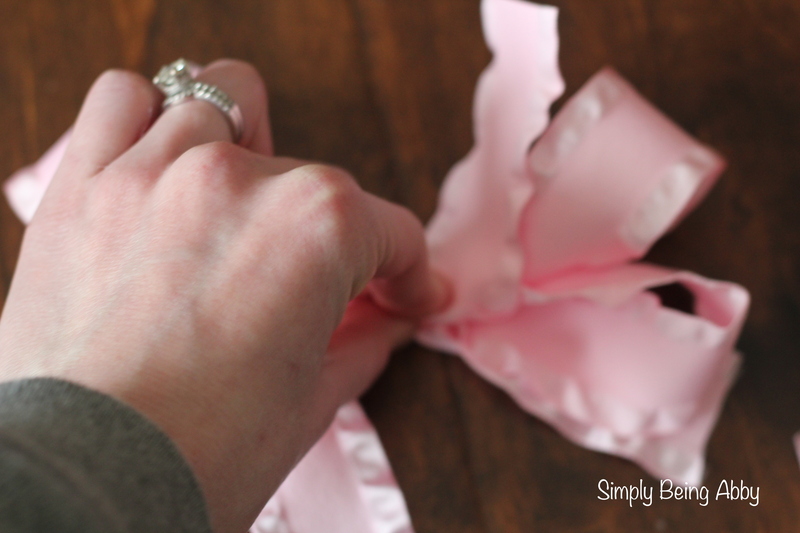 I chose to hot glue mine on the seam of the foam wreath, but it doesn’t really matter where you start. I found that the best technique for wrapping the wreath was to wrap it tightly each time but space out each wrap and then push them tightly together after you have it wrapped around a few times. This just made sure that there was no foam showing underneath the yarn. 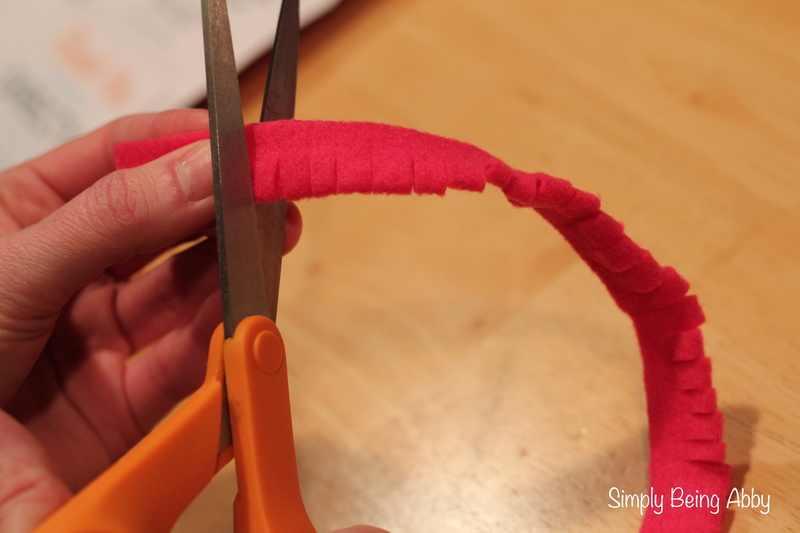 When the wreath is covered, you will hot glue the end piece down on the backside of the wreath. I am not going to lie…this was slightly more tedious than I expected it to be. I wrapped mine around twice, tightly the first time and more loosely the second, and it took me probably 3 hours. Now, that isn’t really that long, but it was longer than I thought — so if you are mentally prepared for it to take a little bit of time, you will not be disappointed! It’s a great project to do while catching up on some T.V. shows or movies! It doesn’t require a lot of focus so it is easy to multitask. 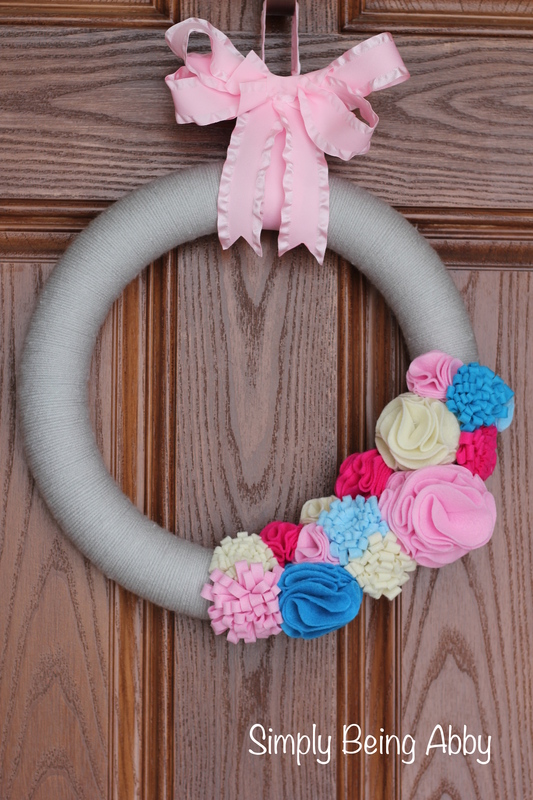 2) Attach your flowers to the wreath. 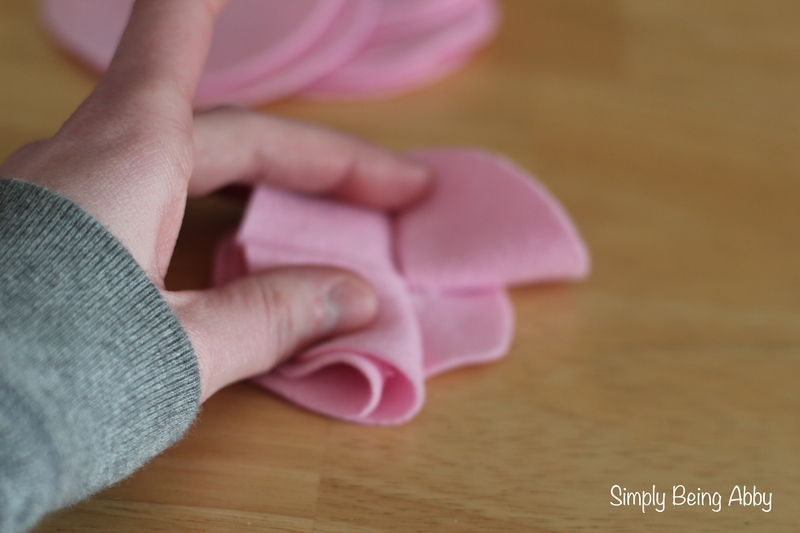 See the tutorial for the easy DIY felt flowers here. You can arrange the flowers however you like, and glue them down with your hot glue. I pinned mine in place before I glued them down permanently. 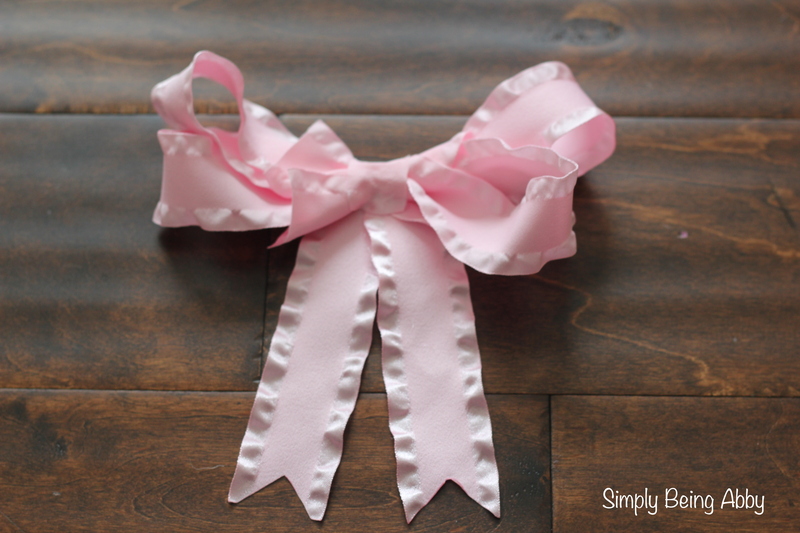 This was a really fun project that really will engage your creative side. There are so many options for colors, and type of flower, etc. that it will really be fun to make it match what you need it to! 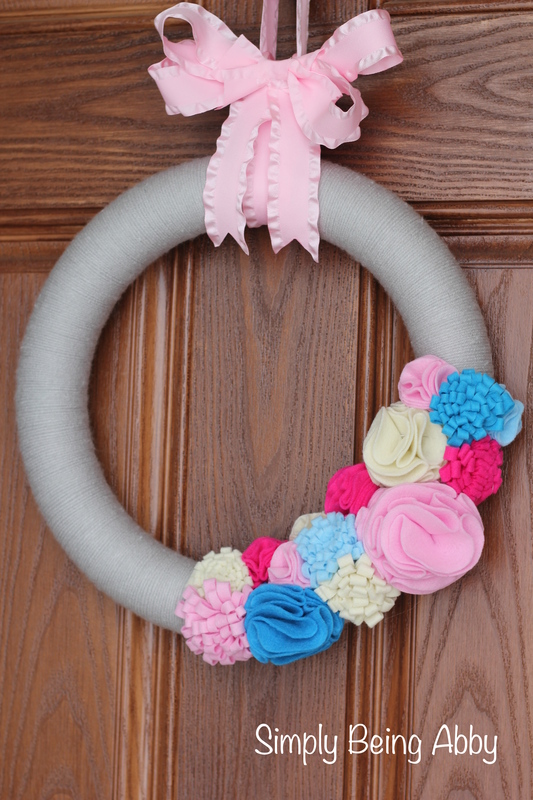 If you already have a spring wreath for your front door, this would be cute hanging on an empty wall in your home, too. Happy wreath-making!